As a personal injury victim, you have certain rights. This includes receiving monetary compensation for injuries suffered due to the fault of another. Any financial losses that you have suffered as a result of your injuries, as well as past and future medical expenses, should be included in compensation offered to you. Moreover, an insurance company may also be held liable for covering additional costs related to the injury based on Nevada law and the policy terms. While insurance companies know they have to pay compensation after an accident, their first concern is to close out claims for as little financial liability as possible while still staying within the law. While insurance companies often advertise that your well-being is their concern, the truth is that their biggest focus is their bottom line. Not surprisingly, insurance carriers will start the negotiation process by offering a low settlement that is often not enough to cover your losses. This is because insurers understand that some personal injury victims will accept a low offer. The reasons behind this could me many: They do not know any better, they are in dire financial circumstances, or they simply are afraid to pursue litigation. Whatever the reasons, it is critical to understand that accepting a low settlement offer, particularly one that is less than your losses, can lead to bigger issues down the line. Below are some tips on how to respond to an insurance company’s low settlement offer on your Las Vegas personal injury case. It is important to know that when an insurance company makes its initial offer on a Las Vegas personal injury case, a plaintiff-victim should not accept it. The reason is because there is a high likelihood that the offer is a low one and does not realistically cover the losses suffered by the personal injury victim. A personal injury victim generally does not know how long his or her recovery will take, the extent of the losses suffered, nor if he or she will be able to return to work. Other benefits that are guaranteed under Nevada law and/or the insurance contract terms. When you hire a Las Vegas personal injury attorney, you are providing yourself an advantage in regards to negotiating a settlement on your case. 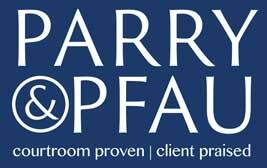 Contact the skilled attorneys at Parry & Pfau today to schedule your initial case evaluation. Older PostBirth Injury or Birth Defect: What is the Difference?